American Dental Care of Allentown is here to take care of all your dental needs! We serve patients visiting from surrounding areas of Allentown including Bethlehem, Easton, Lehigh County, and Quakertown, PA. Our patients may reluctantly come in with an issue involving their oral health, but they always leave with a smile! If you are already a current patient, thank you for sticking with us and we will see you soon! If you are searching for healthcare professionals, who have years of experience, performing dental procedures, than American Dental Care of Allentown is the team for you. 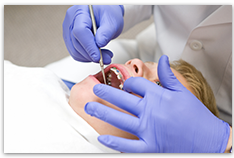 Providing the best options available for dental solutions, our number one priority is alleviating any fear of visiting a dentist office, by offering a comfortable atmosphere. Patients will feel relaxed, comfortable and cared-for during their entire visit. If you are in need of any of these services, by all means, contact us immediately. You can schedule a one-on-one consultation with a highly-qualified dentist who will speak with you and get to know you better. 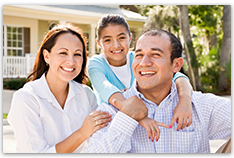 You can feel free to describe to him the dental care you need and he will provide you with the best possible solutions. Our outstanding staff is ready to take care of you! We understand that you take your dental health seriously, which is why we will answer any questions or concerns you may have. Along with finally getting that bright, beautiful smile you’ve always dreamed of, you will also build a long-lasting relationship with our staff. We understand that you take your dental health seriously, which is why we will answer any questions or concerns you may have. Along with finally getting that bright, beautiful smile you’ve always dreamed of, you will also build a long-lasting relationship with our staff. Residents of Bethlehem, Easton, Lehigh County, and Quakertown, PA can schedule a consultation today. Thank you for visiting the American Dental Care of Allentown website and we hope to meet you soon!